There have been a huge transformation in custom business application. Until date, business applications such as ERP, CRM and data mining were considered as the toughest and the most expensive options for the small businesses. The robust client apps include lump sum license fees, copyrighted software and expensive hardware to operate in the correct way. This arrangement also requirements proper maintenance in order to function properly. Moreover, when businesses require custom PHP development, the companies often charge huge cost which is again over and above the small businesses’ range. 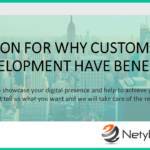 Over last few years, there has been a drastic transformation in the realms of custom business development. 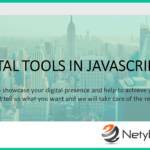 A gamut of personalized web application software is available on the web. Moreover, with the evolvement of cheaper internet service, cloud computing and increased server capacity, software development processes are becoming much more easy and smooth. Today, almost all people use e-mails, logs into social networking websites, use online docs and spreadsheets and look after online calendars in their day to day activities. With such popularity of the World Wide Net, the programming languages have also developed at a fast pace and the various platforms of web development have become heightened, secure and more stable. Nowadays, almost all of the businesses choose PHP as their best programming language. 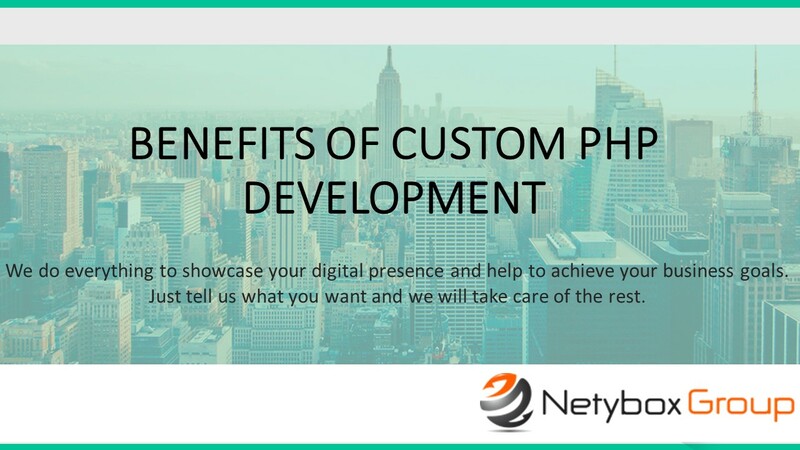 Custom PHP development and PHP built business applications have several benefits as it allows information sharing effectively with and boost business development. 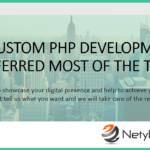 PHP offers the most flexible and powerful web development platform which benefits all business expansions efficiently. 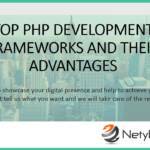 The PHP frameworks are simple to use and are easily available on the market which includes Symfony Platform, CakePHP, Zend Framework. These PHP frameworks also allow developing standard codes. PHP itself is an open-source framework and is supported by huge web-based community. Even a fresher in PHP web development may easily find lots of development guides and tutorials on PHP by browsing through the net. Amongst the several other existing technologies in the web development world, PHP web development is considered the best solution for technological development of a web site. This open source server scripting language can be used to create dynamic webpages to deliver high end interactivity to the users. HTML codes can be easily embedded into PHP applications and it can be integrated into several databases such as MySQL. It is cross-browser compatible and can work smoothly in any kind of Operating system, Mac, Linux or Windows. The in-built memory within PHP helps the creator to prevent the extra stress of gathering external codes from outside options. PHP web development is not a costly event since the language can be integrated with an array of open source applications such as Drupal, Joomla or WordPress.